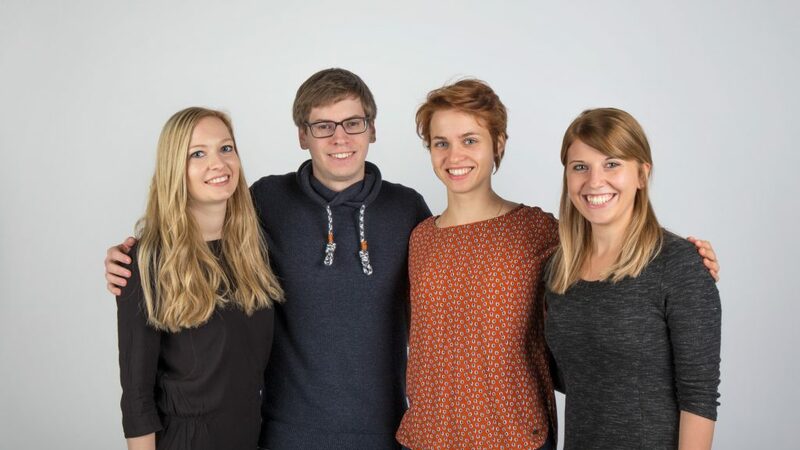 The Fish for Life core team consists of 4 young, talented and ambitious people with big dreams. Kerstin’s passion is the moving image and the variety of possibilities associated with it. The art of bringing life into a figure through movement fascinates her. Lukas’ strengths are located in the fields of 3d modelling and animating dynamics. He wants to bring ideas from scratch into the three-dimensional world and create an accurate vision of a concept. Since her childhood Lisa Mona loves telling stories and create great visionary worlds. Furthermore, the artist is excited by the psychological background of created characters. Sound design is her passion, because Victoria finds it incredibly exciting to create acoustic worlds that accentuate visual content and trigger emotions. Creating a 3d animated short takes a lot of time, nerves and individuals. Therefore the Fish for Life team is very thankfull to all their helpers and people, who support their project.